This is the Environment Agency site specific information for Paddlers. Make certain that you are sure that the conditions are safe before setting out. Remember that heavy rain swells the river and makes it dangerous and that it may take a number of days before the rain translates into dangerous river conditions. Locks and Times that they are manned. Below is a list of the Locks that you will pass through and the approximate time it will take to get between them. The distances and times between each lock are shown. The time is based on a 8km/h (approx 5m/h) speed. This may be quite a bit faster than you can paddle. Launch for the Start at Lechlade. There is a launch slip at the Riverside Complex on Thames Street just before Halfpenny Bridge going south along the A361. The slip is encumbered by planting in old boats but you should be able to get a canoe in the water there. This is a private area. If you go South out of Lechlade on the A361 go over Halfpenny Bridge and about 300 yards on your Right hand side is the “Riverside Car Park” with toilets, you can go onto the water meadows leading up to the river and you should find suitable launch places about 50 yards from the nearest spot in the car park to the river. Both of these launch sites are about 3/4 mile upstream from St John’s Lock. There is also the Bridge House Caravan and Camping site on the other side of the road. Please note that there is not necessarily a right or space to park a car or boat trailer at these Environment Agency listed slips. The best place to take your canoes out of the water is about one mile further downstream on the right hand side at the slip just by the car park for Ham House. Sleep by a campfire or be rocked to sleep on the river. We are a Canoe Touring Adventure and Hiring Company that organise and provide Canoes for various activities on the water, mainly on the River Thames. We are based in Windsor and have been operating for the last 3 years. 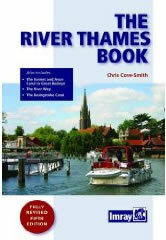 We provide daily tours of the Thames in Windsor together with organising Charity Challenge Events e.g. Lechlade to Teddington. We also provide and organise for Corporate Team Building and Family Fun Day/Party Events. We support the Rob Roy Canoe Rally and can provide you with canoes, tents and other camping needs plus assist in the planning of your charity event with our outstanding knowledge of canoeing and the local rivers. We can also help with transporting your boats to the start and picking them up at the end. Please note we can only transport if there are 4 or more canoes taking part in your event. We have over 25 years experience of working and paddling on the River Thames and all our guides are qualified to a minimum of British Canoe Union (UKCC) Level 1 Coach and are all first aid and CRB checked.